FREE STANDARD SHIPPING – MELBOURNE ONLY!!! 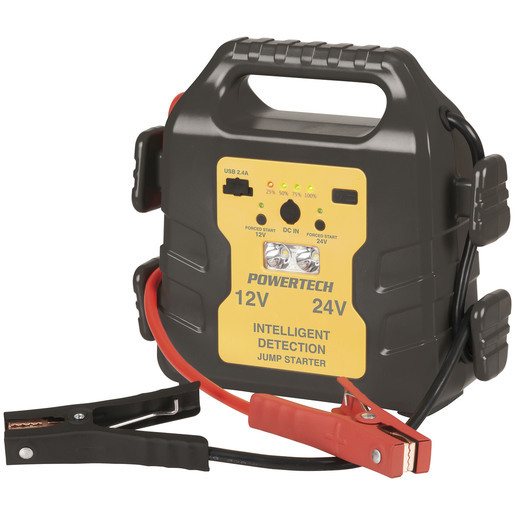 This is a no-nonsense heavy-duty jump starter suitable for most 12V or 24V vehicles including bus, trucks, cars, boats, jet ski, etc. It is capable of jump starting multiple times per single charge and works on both petrol and diesel engines. The Lithium-ion battery inside the robust enclosure produces an incredible 12V-1000A peak 24V-500A peak current and a capacity of 22,200mAh. The jump starter also has 5V USB output to charge Smartphones, Tablets, digital cameras, GPS devices and much more. Also an LED light is built-in for emergency use. Supplied with spark-proof alligator clamps, carry case and power adaptor.